The police on Friday arraigned two men for stealing N7m from an Automated Teller Machine belonging to the First Bank of Nigeria Plc. The incident was said to have occurred between November 30 and December 1, 2014 at the Lagos State University branch of the bank. The police said the money was stolen without breaking or damaging the ATM, adding that they suspected that the crime must have been committed by people within the organisation. 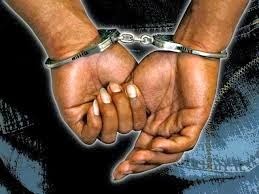 According to the police, they suspect one Reginald Osie-Oghaede, an employee of the bank, and one Friday Amuche, a contract security guard posted to the branch. Osie-Oghaede and Amuche were arraigned at the Lagos Magistrate’s Court, Tinubu, Lagos Island, on two counts of felony and theft. Osie-Oghaede and Amuche pleaded not guilty and were granted bail by Mrs. Y.R. Pinheiro in the sum of N200, 000 with two sureties in like sum. The case was adjourned till January 26, 2015. Oga Jona say.... Stealing is not corruption, so ? Be sociable, share your opinion! 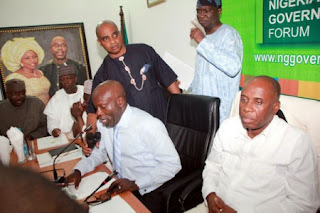 An amateur footage of the May 24 Nigeria Governors’ Forum election during which Rivers State Governor, Rotimi Amaechi, was reelected chairman after he defeated his only challenger, Jonah Jang of Plateau State 19 votes to 16 has emerged. With his mobile phone, Governor Rauf Aregbesola of Osun captured most of the proceedings of an election that featured intense maneuvering from governors on a clear divide, either in support or against Governor Jonah Jang of Plateau state. Cash Warren couldn't keep his eyes off his wife of three-and-a-half years as they frolicked on the beach - and it's easy to see why. Jessica Alba wowed on in Cabo San Lucas, wearing a bright pink bikini as she enjoys a Mexican break with her family and friends. The actress only gave birth to her second daughter Haven four months ago but showed off her extremely toned stomach as she paddled in the warm water yesterday. 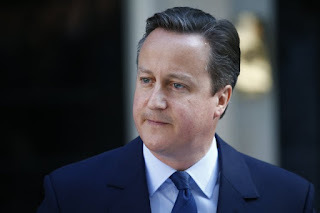 David Cameron has resigned as Prime Minister after Britain voted to leave the European Union. With the Leave campaign securing 52 per cent of the vote, Mr Cameron addressed the nation in an emotional speech outside 10 Downing Street to announce that he would be stepping down.